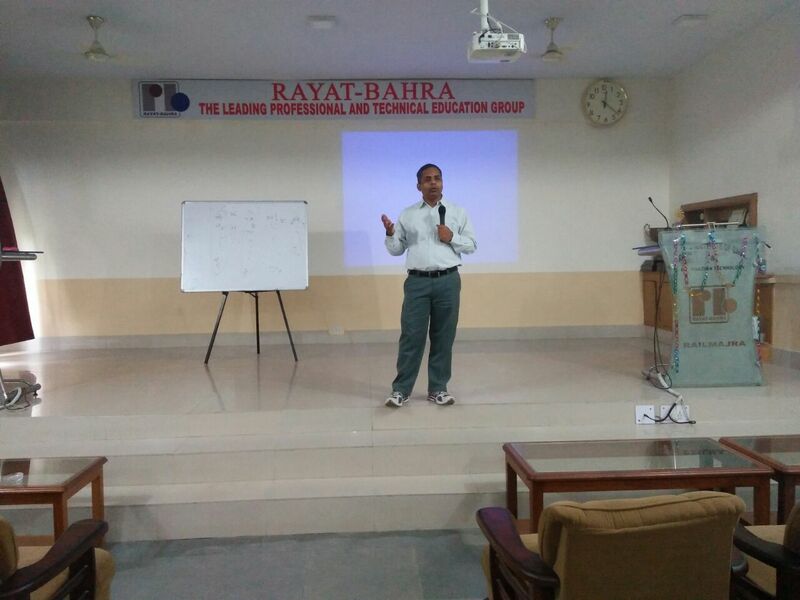 Department of Computer Science and Engineering of Rayat-Bahra, Ropar campus organized a seminar on “Cryptography ” by Dr. Somitra Kr Sanadhya , Associate Professor, Department of Computer Science and Engineering, Indian Institute of Technology (IIT), Ropar. Dr. Somitra, the speaker of the day articulated the crucial role of security in the field of communication and networking in our daily life. The seminar included the illustration of wide range of sophisticated and valuable information related to the concept of cryptography, its origin and various methods of cryptography. He shed light on the fundamentals of ciphering and deciphering encryptions. The lecture especially aimed at building in confidence and capability amongst the participants in mapping the security challenges by the efficient use of cryptography. Last but not the least, Dr. Somitra also guided the students about higher studies and career in academia and research which was illuminating for the pupils. Prof. (Dr.) Harish Kundra, Head of Department, Computer Science and Engineering of CSE, welcomed the esteemed guest orator Dr. Somitra Kr Sanadhya and highlighted the inevitable importance of the topic. 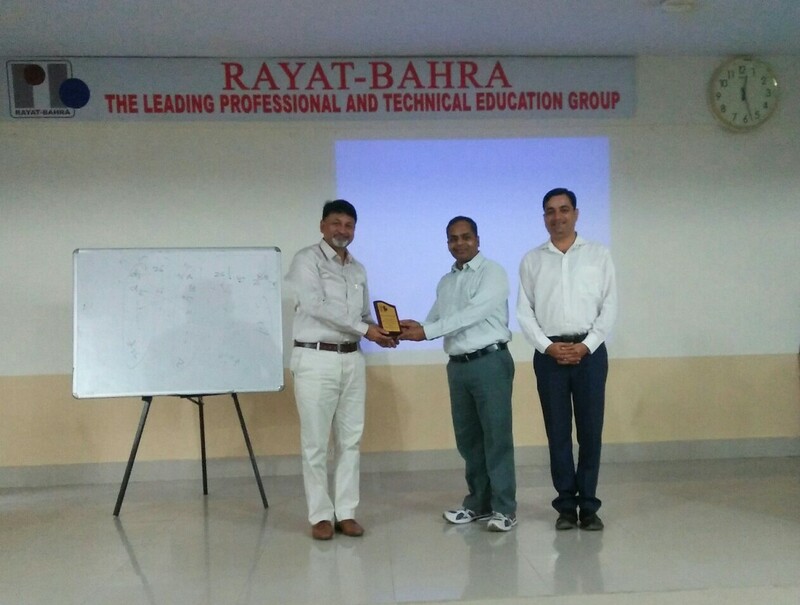 Prof.(Dr.) Ajay Goyal , JCD and Director of Engineering Department presented token of appreciation to Dr. Somitra Kr Sanadhya . Dr. Ajay Goyal also congratulated the learners and faculty members of the department for successfully conducting the symposium which will be productive for the students in their academia. Moreover, he encouraged the scholars to partake in such discussions by sharing his own empirical experiences. Prof. (Dr.) Suresh Seth, Campus Director congratulated the department for the expert talk and also appreciated the endeavors of the department for conducting such kind of talks delivered by experts of top academic institutions and industry.